Advertising impresario Jane Trahey orchestrated successful campaigns for Olivetti typewriters and Hamilton wristwatches, but it took a bunch of mink ranchers trooping through her door before she created a legend. The trade group that came calling in 1968 bore a clunky acronym: GLMA, the Great Lakes Mink Association. An affiliation of 400 fur farmers from the Midwest, GLMA wanted a marketing upgrade for the signature, jet-black mink coats they made. Which actually wasn’t so easy. Mink had enjoyed a cultural apogee in the 1950s. But by the dawn of women’s liberation, the pelt was a bit passé. At least, it was until Trahey got a hold of it. First, she toggled GLMA into a proper brand name: Blackglama. Then she whipped up what became one of the most enduring marketing initiatives in history. Except for a hiatus in the late 1990s, this campaign—exemplified by the ads shown here—has run for nearly half a century. It has not, however, run without an important change. “There’s been a massive paradigm shift as regards the category of mink coats,” said psychologist Robert Passikoff, founder of consultancy Brand Keys. 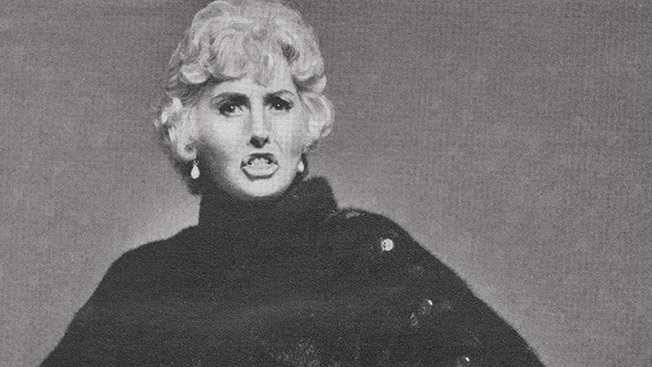 Shortly before Barbara Stanwyck stomped into this 1970 ad, Trahey mastered the formula of recruiting famous women of the stage and screen to don a fur and vamp it up in front of Richard Avedon’s camera. The resultant ads carried both a piquant question (“What becomes a legend most?”) and an obvious answer: a Blackglama mink. And so, 44 years after its debut, Trahey’s campaign is still as soft and sleek as ever. Too bad it’s no cheaper. While Carolyn Murphy, the beautiful face in the 2014 ad, might not be a household name, she doesn’t work for cheap. Murphy made $3.6 million on modeling gigs in 2013, enough to buy her all the fur coats she’d want.